Three days after my talk in Ballinode on Private Robert Hamilton, I was passing through Clabby in County Fermanagh, near Fivemiletown. I took the opportunity to call in to see Jean Hamilton at the Rectory, who had been very helpful in finding birth and baptismal records for Robert. Her husband Canon Maurice Armstrong had also helped with the research. She then invited me into the church, which was re-opened after an extensive renovation in February this year. 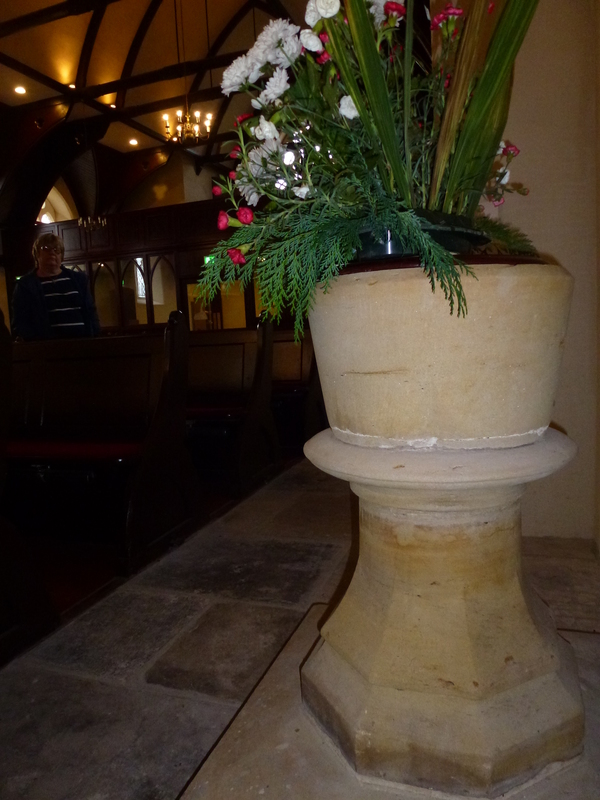 I was able to see the baptismal font where Robert Hamilton would have been baptised a few days after his birth, because he was ‘poorly’ according to Canon Armstrong. The font is in its original position. 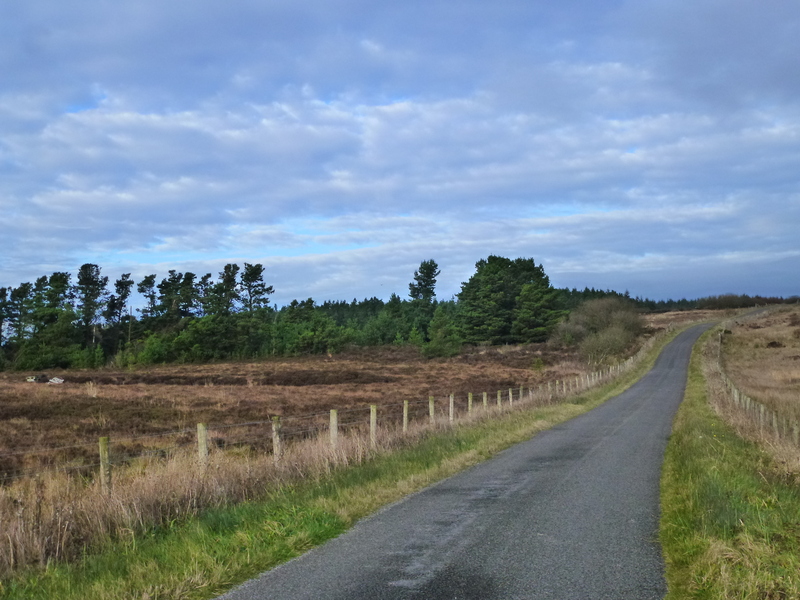 Afterwards Jean gave me directions for reaching the nearby townland of Brockagh, a mountain area of blanket bog very like Sliabh Beagh. Robert was living with John and Jane Keys, probably in a thatched cottage. 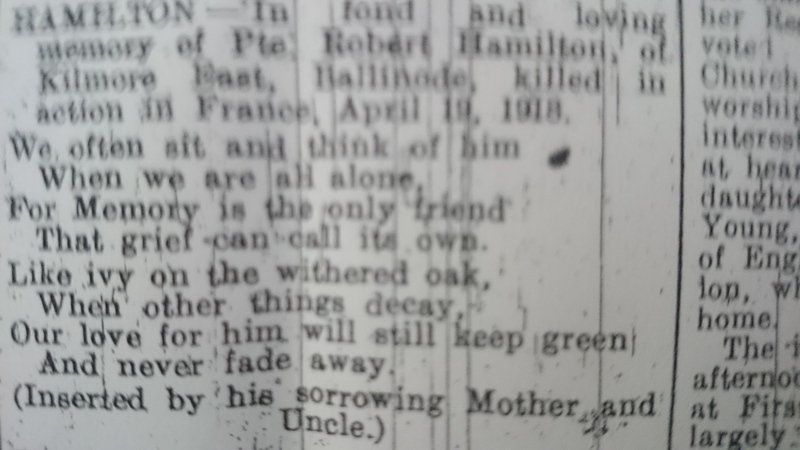 Many of the details discovered about Private Robert Hamilton from Ballinode were taken from the archives of the Northern Standard, the main weekly newspaper for County Monaghan. So it was very appropriate to receive coverage in this week’s edition (still on sale) for my talk a week ago on this member of the Royal Irish Fusiliers (9th Battalion), who was killed in action in Flanders in April 1918. 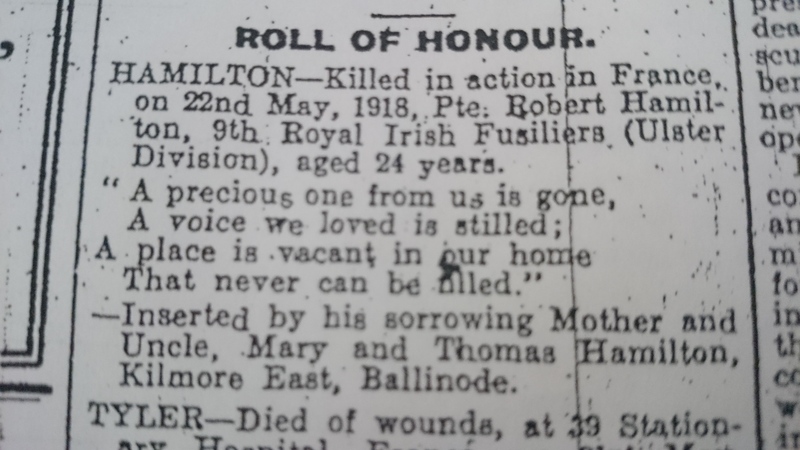 Private Robert Hamilton from Kilmore East in Ballinode is one of the thousands of Irishmen killed in World War I whose stories were forgotten for nearly 100 years. 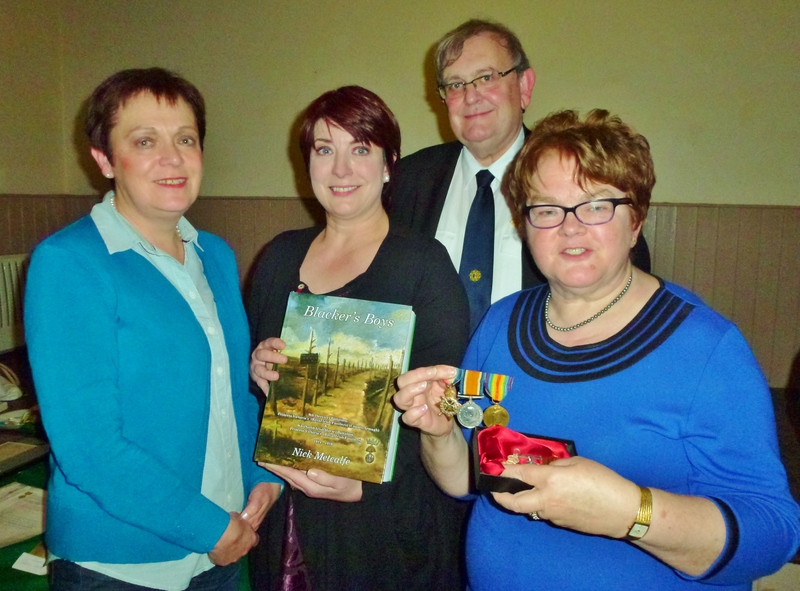 Now to coincide with the centenary of the start of the Great War in August 1914, his story was recalled in a talk by local journalist Michael Fisher at St Dympna’s hall in Ballinode on Friday evening. 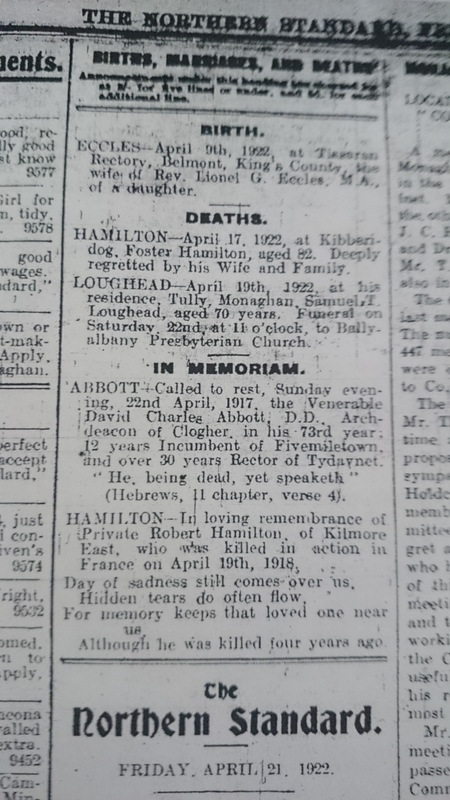 According to his obituary in the Northern Standard in May 1918, Private Hamilton was a member of the Ulster Volunteer Force in County Monaghan. He had signed the Ulster Covenant in Ballinode in September 1912. The UVF ranks joined the British Army to fight in World War I and became part of the 36th (Ulster) Division, headed by a Cavan man, Major General Oliver Nugent. Robert Hamilton enlisted in Monaghan in the 9th Battalion Royal Irish Fusiliers (the ‘Faugh-a-Ballaghs’) when a recruitment party came to town in February 1915. 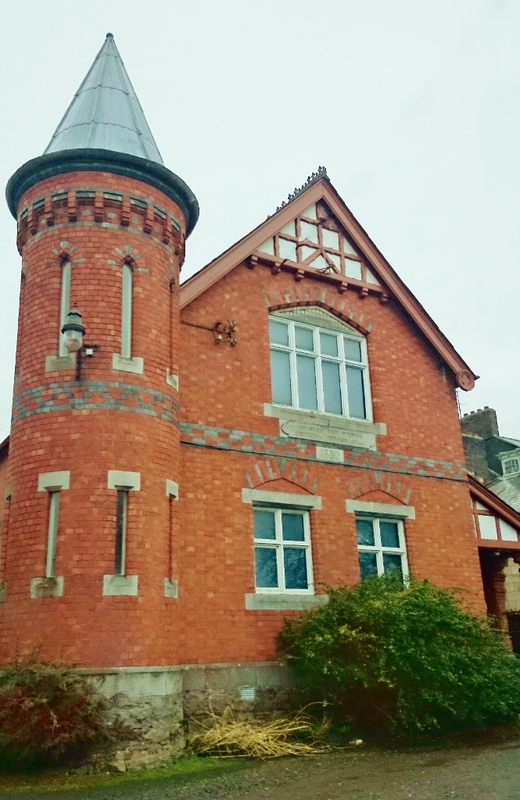 The Johnston and Madden Memorial Orange Hall on North Road was one of the places used by the British Army, along with the Town Hall. The recruits were sent to a barracks in Belfast and then to England for training. In October 1915 the regiment was on the move from Southampton across the English Channel to France. Robert fought at the Battle of the Somme in July 1916 but was invalided with a fever at some stage and appears to have been sent back to England to recuperate. He left Ballinode on Easter Saturday at the end of March 1918 and returned to his unit on the western front. Three weeks later he was killed in the fighting during a German offensive in the Ypres Salient at Kemmel Hill in Belgium. He was 26, not 24 as some records show. His body was never identified, so he has no grave, but his name is included in the vast Tyne Cot memorial near Ypres. 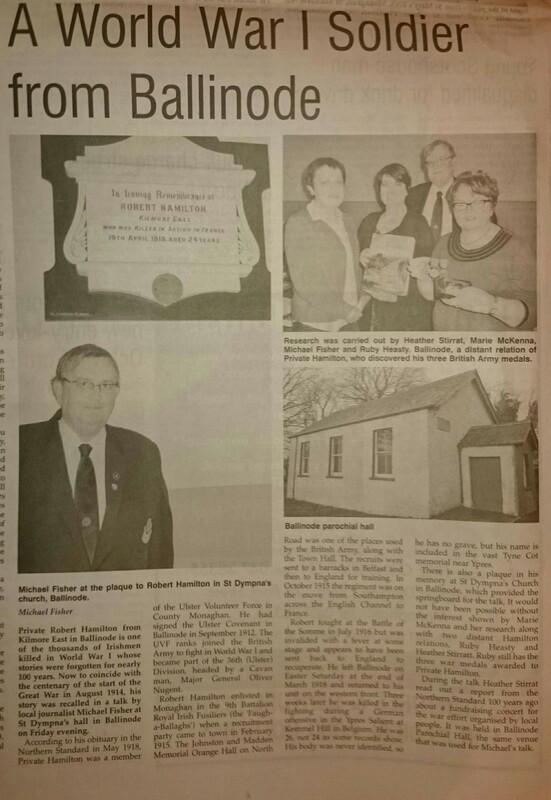 There is also a plaque in his memory at St Dympna’s Church in Ballinode, which provided the springboard for the talk. It would not have been possible without the interest shown by Marie McKenna and her research along with two distant Hamilton relations, Ruby Heasty and Heather Stirratt. Ruby still has the three war medals awarded to Private Hamilton. 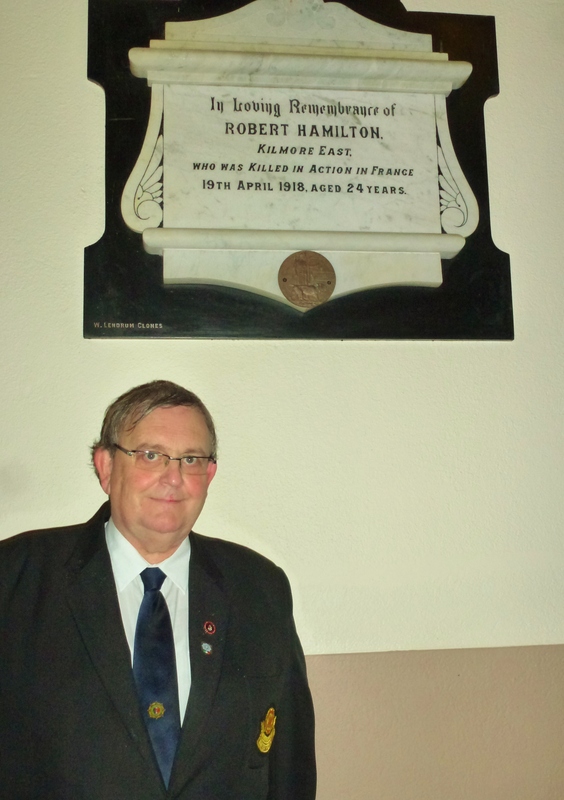 Private Robert Hamilton is remembered in two plaques in County Monaghan. 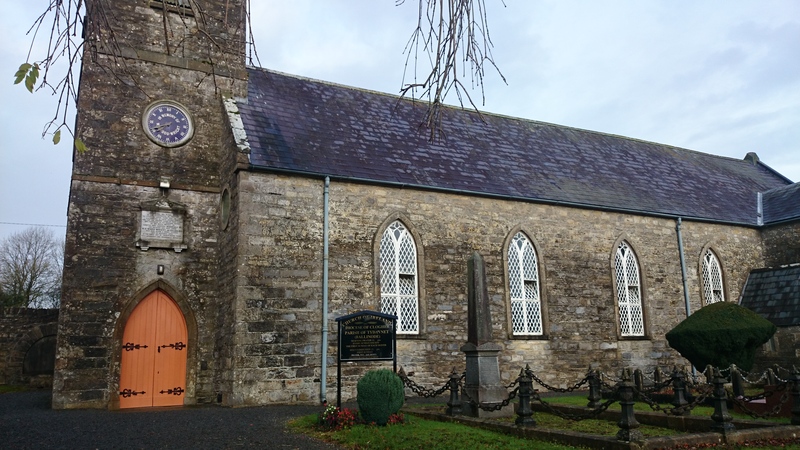 The first, as mentioned earlier, is in St Dympna’s Church of Ireland church in Ballinode. 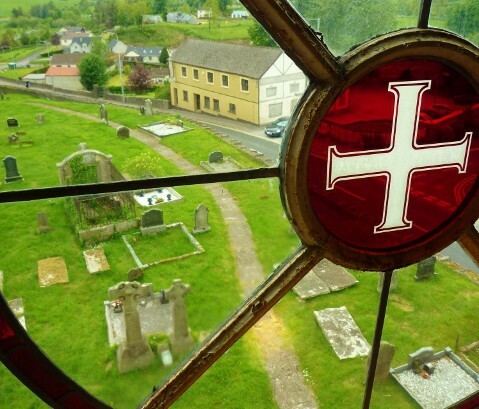 The stone mason for the memorial was Lendrum of Clones, whose name appears in the bottom left. He seems to have made several other such memorials in the area. 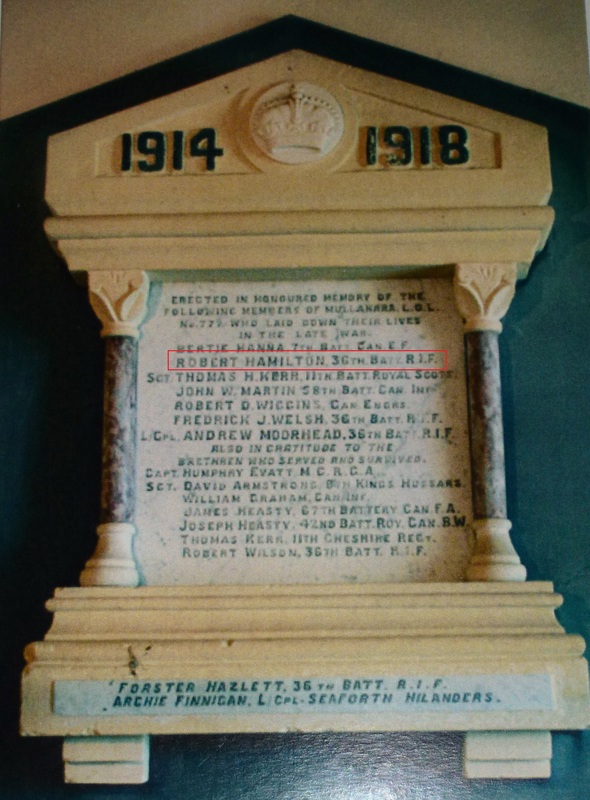 It is also interesting that Private Hamilton is listed as one of the local Orange Order members from Monaghan who gave their lives in the Great War. 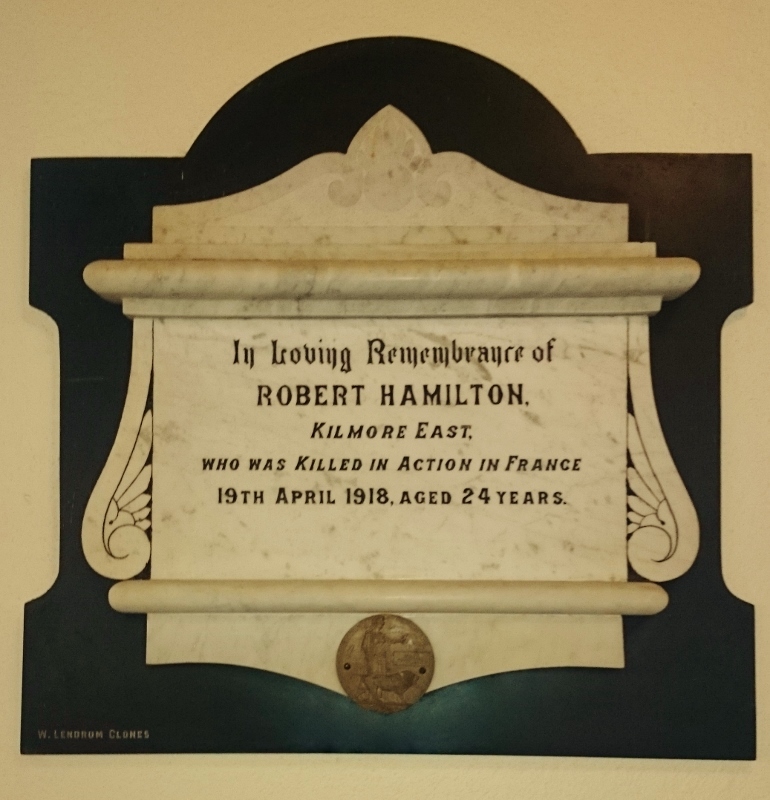 There is a plaque in a former hall on which his name appears along with six of his contemporaries who were killed. Two of them were also in the 9th Battalion Royal Irish Fusiliers. They are Private Fredrick J. Welsh (17933), died March 1918) and L/Cpl Andrew Moorhead (16121) who was apparently killed on the first day of the Battle of the Somme. The names of nine soldiers who survived are included, making a total of fifteen, two names having been added below the original stone. A picture of this memorial also appears in Kevin Cullen’s County Monaghan Book of Honour 1914-18. 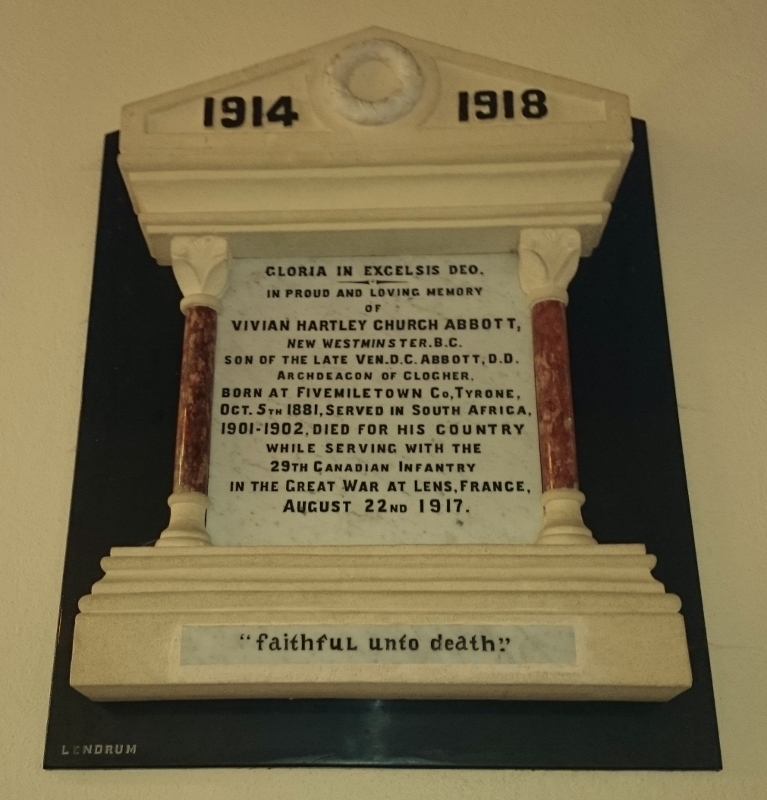 In the church in Ballinode there are two other memorials to soldiers who served in Canadian regiments and who died in 1916 and 1917. 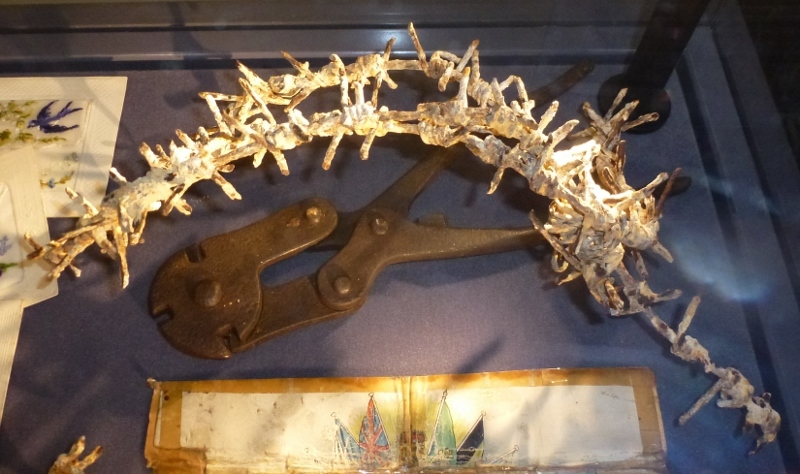 The first, very similar to the one above and also crafted by Lendrum of Clones, is to the memory of Vivian Hartley Church Abbott of British Colombia, of the 29th Canadian Infantry. He was killed at the Battle of Lens, August 22nd 1917. 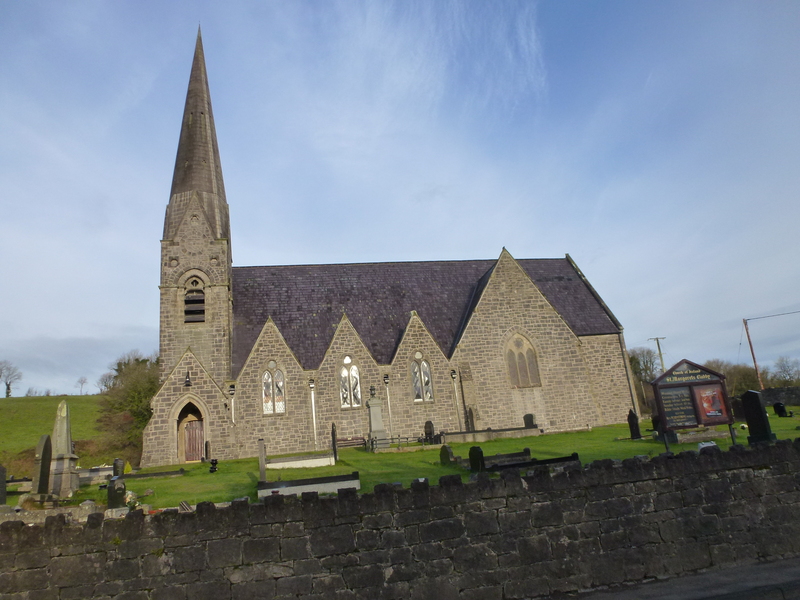 His father was the Archdeacon of Clogher and was the Rector in Ballinode for many years. A separate plaque commemorates his service to the parish. The second memorial is a bronze plaque dedicated to Francis Wright Hazlett, who also served in the Canadian Infantry. 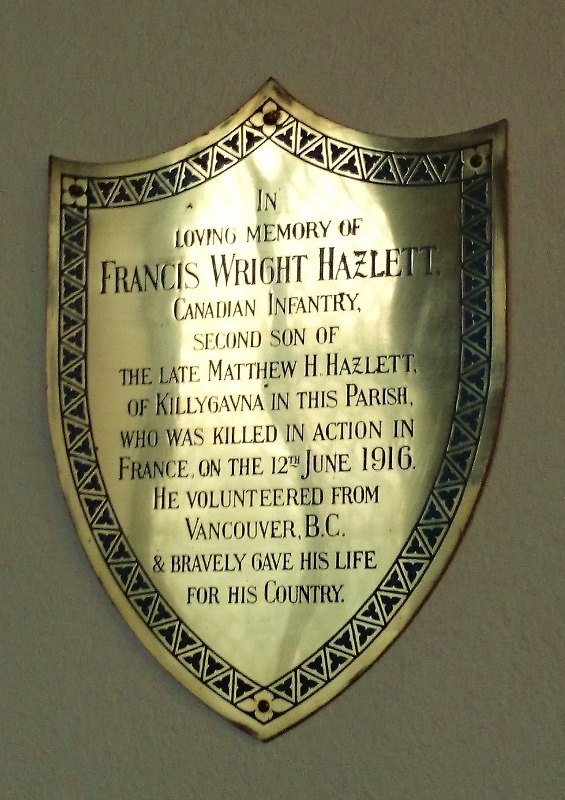 His father Mathew Hazlett was from Killygavna and he joined up in Vancouver. He was killed in action, also in France, on June 12th 1916. Searching through extracts from the Northern Standard in the library in Monaghan I picked up one of the death notices books for the period and quite by chance the first page I came to contained a report about the unveiling of this plaque. 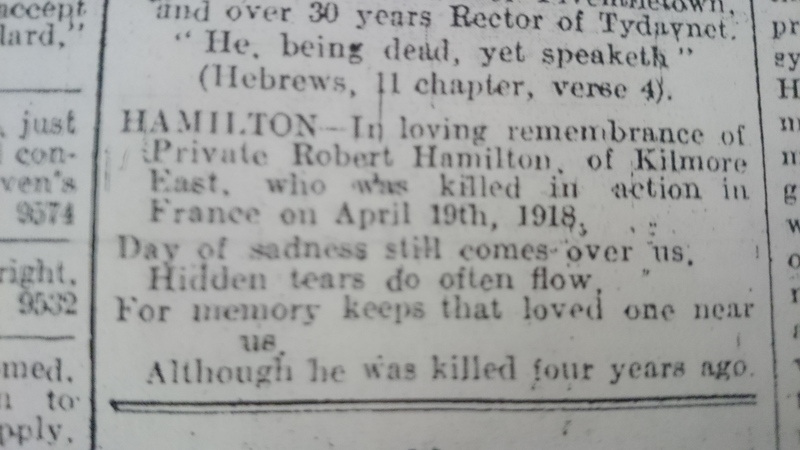 In the newspaper files we also found the obituary of Private Hamilton and two in memoriam notices which had been placed by his mother Mary on the first and the fifth anniversaries of his death. Private Robert Hamilton survived unscathed during the five-months long Battle of the Somme in 1916. But some time afterwards, possibly in 1917, he was ‘stricken with fever’ and was brought back to Britain as an invalid. 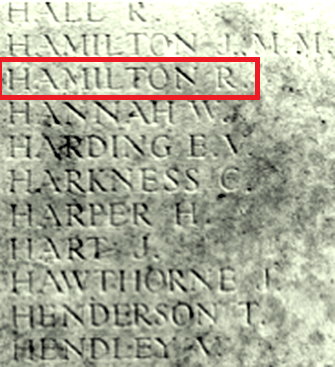 I notice that in the case of another Fusilier, he was taken to Leeds Infirmary for treatment, but it’s not yet clear where Hamilton would have been sent. He appears to have been allowed to return to Monaghan at some stage and might have been treated in the old Infirmary there. His obituary in the Northern Standard in May 1918 gives us some more clues as to how he met his end. 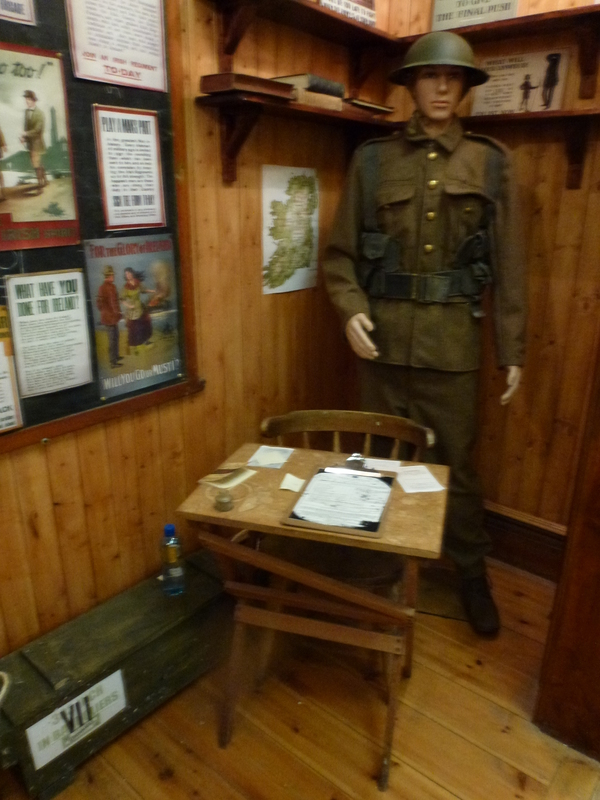 It tells us he went out again from Ballinode, never to return, on Easter Saturday (March 30th 1918). 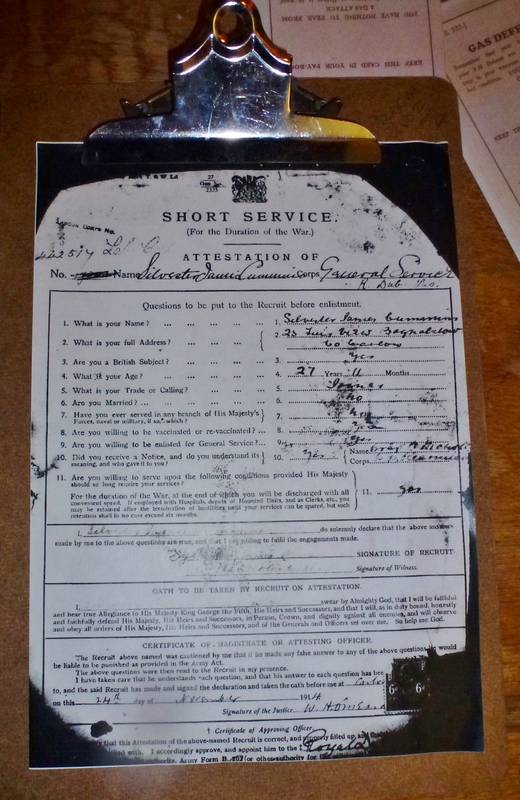 Three weeks later on April 19th he was listed as being killed in action. He was 26, not 24 as the plaque in Ballinode states. This has become clear as a result of finding a copy of his birth and baptismal record, thanks to Mrs Armstrong in Clabby. Looking at the regimental war diary of the 9th Battalion Royal Irish Fusiliers and the 2nd North Irish Horse which was amalgamated with them it is apparent that this was the time of the second German offensive on the western front, which had begun a month or so earlier. The Germans were determined to recapture much of the ground that had been held by the Allies and to push the British Army back to the French Coast. On April 18th the diary records the action at Kemmel Hill, not far from Ypres, where the Germans attempted to recapture this high ground from which the occupiers could observe the surrounding countryside for miles around. 2am. Moved to Kemmel as composite Battalion with 1st Royal Irish Fusiliers commanded by Lieutenant-Colonel Kelly. Heavy casualties, while moving into position, from enemy shelling. 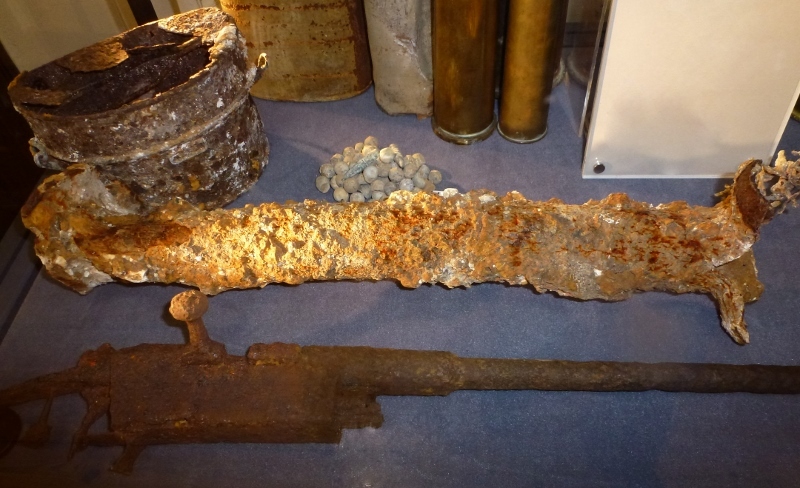 Captain Despard wounded and died soon after. 8pm. Relieved by French troops and marched to Siege Camp. Note 41: Killed in action this day – Captain Charles Beauclerk Despard DSO MC, formerly of the 6th Inniskilling Dragoons, aged 37, son of William and Mary Despard of ‘Sheelagh’ Malone Park, Belfast, husband of Josephine Despard of The Acacias, Portarlington, Queens County, no known grave, commemorated at Tyne Cot Memorial, Panel 3. 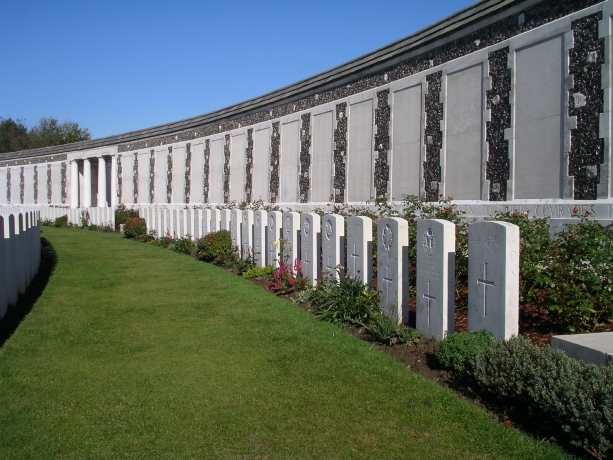 Died of wounds this day – Private John Bales (43229) formerly Notts and Derby Regiment (36090), born and enlisted Nottingham, buried at Haringhe (Bandaghem) Military Cemetery, grave II.F.23 (Soldiers Died shows Bales’ date of death as 18 July 1918, the CWGC database as 18 April); Private Edward Morton (28773), born Kilmore, County Cavan, enlisted Armagh, aged 17, son of Mr R Morton of 6 Lonsdale Street, Armagh, buried at Haringhe (Bandaghem) Military Cemetery, grave II.F.19; Private Walter Henry Smyth (23793), born Ballinderry, County Antrim, enlisted Newtonards, County Down, residence Ballinderry, aged 21, son of James Smyth of Lakeview House, Ballinderry, Lisburn, County Antrim, buried at Mendinghem Military Cemetery, grave X.A.41. Died of wounds this day – Private Thomas John Ingram Dickson (23697), born Madden, County Armagh, enlisted Lurgan, County Armagh, residence Madden, aged 19, son of David and Rachel Dickson of Drumhillery, Madden, Keady, County Armagh, native of Drumhillery, buried at Haringhe (Bandaghem) Military Cemetery, grave I.F.10; Private Joseph Seeley (5978), born Shankill, County Armagh, enlisted Lurgan, County Armagh, no known grave, commemorated at Tyne Cot Memorial, Panel 140 to 141. 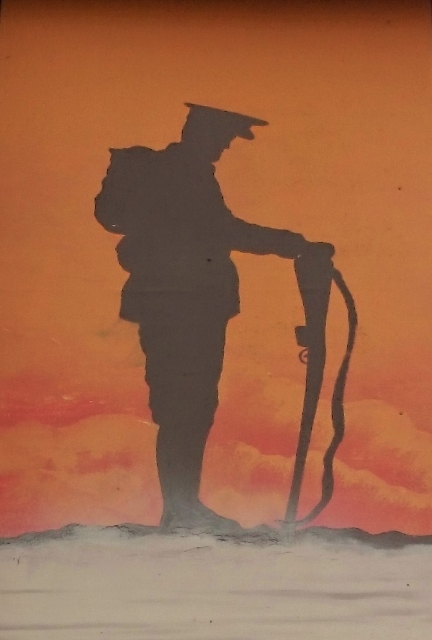 Killed in action this day – Private Herbert Ruddick Bark (43431) formerly 1/24th London Regiment (721539), born Peckham, SE, Surrey, enlisted Surrey, Kennington, aged 27, son of Edward John Bark, no known grave, commemorated at Tyne Cot Memorial, Panel 140 to 141; Private John A Bell (41333) formerly North Irish Horse (2245), born Loughbrickland, County Down, enlisted Antrim, residence Newry, County Down, buried at Wulverghem-Lindenhoek Road Military Cemetery, grave V.C.23; Private Joseph Arthur Bowden (41287) formerly North Irish Horse (1965), aged 21, born Cootehill, County Cavan, enlisted Antrim, residence Cootehill, son of Joseph and Lydia S Bowden of Cortober House, Cootehill, County Cavan, no known grave, commemorated at Tyne Cot Memorial, Panel 140 to 141; Private Frederick St George Cooke (41694) formerly North Irish Horse (2182), born Carrigallen, County Leitrim, enlisted Belfast, residence Lisburn, County Antrim, son of the late Francis and Anne Cooke of Gortermone House, Carrigallen, County Leitrim, husband of Jeannie C Cooke of ‘Norton’, 6 Hawthornden Road, Knock, Belfast, no known grave, commemorated at Tyne Cot Memorial, Panel 140 to 141; Private Leonard Walter Crook (45754) formerly Royal West Surrey Regiment (67320), born West Ham, E, Essex, enlisted Stratford, E, Essex, residence West Ham, aged 18, son of Julia Eliza Crook of 82 Gladstone Road, West Ham, London, and the late Henry John Crook, no known grave, commemorated at Tyne Cot Memorial, Panel 140 to 141; Private Allan Davey (41589) formerly North Irish Horse (1312), born Carrickfergus, County Antrim, enlisted Belfast, residence Carrickfergus, aged 30, son of Mr and Mrs W.J Davey of Dunloskin, Carrickfergus, husband of Sarah E Davey of 1 Lancasterian Street, Carrickfergus, County Antrim, no known grave, commemorated at Tyne Cot Memorial, Panel 140 to 141;Private William Thomas Elliott (41159) formerly Dragoons of the Line (UD/284), enlisted Enniskillen, residence Letterbreen, County Fermanagh, no known grave, commemorated at Tyne Cot Memorial, Panel 140 to 141; Sergeant Herbert Firth (43469) formerly London Regiment (721651), enlisted Kennington, SE, Surrey, residence Brixton Hill, SW, Surrey, no known grave, commemorated at Tyne Cot Memorial, Panel 140 to 141; Private James Gillespie (14242), A Company, born and enlisted Armagh, aged 33, son of Thomas and Jane Gillespie of 83 Callan Street, Armagh, no known grave, commemorated at Tyne Cot Memorial, Panel 140 to 141; Private Patrick John Glass (3428), born and enlisted Balleymoney, County Antrim, residence, Hordle, Hants, aged 26, son of Sarah and the late James Glass, husband of Annie May Glass of 8 Council House, Hordle, Lymington, Hants, no known grave, commemorated at Tyne Cot Memorial, Panel 140 to 141; Private William Gribben (20986) formerly Connaught Rangers (4358), born Loughinisland, County Down, enlisted Belfast, residence Clough, County Down, no known grave, commemorated at Tyne Cot Memorial, Panel 140 to 141; Private Arthur Gribbin (23011), born Dromore, County Down, enlisted Belfast, no known grave, commemorated at Tyne Cot Memorial, Panel 140 to 141; Private Arthur James Hall (45745) formerly 24th London Regiment (5615), enlisted Highbury, N, Middlesex, residence Finsbury Park, N, Middlesex, no known grave, commemorated at Tyne Cot Memorial, Panel 140 to 141; Private Robert Hamilton (18259), born Clabby, County Fermanagh, enlisted March 1915 at Monaghan, residence Ballinode, County Monaghan, aged 24, son of Mary Hamilton of Kilmore East, Ballinode, Monaghan, no known grave, commemorated at Tyne Cot Memorial, Panel 140 to 141; Private Henry Harper (21119) formerly Connaught Rangers (2306), enlisted Belfast, residence Hollywood, County Down, no known grave, commemorated at Tyne Cot Memorial, Panel 140 to 141; Private Albert Gordon Keller (25103) formerly Royal Army Service Corps (T/S/3482), born Staveley, Derbyshire, enlisted Liecester, residence Staveley, no known grave, commemorated at Tyne Cot Memorial, Panel 140 to 141; Private Henry Lavery (26841), born Lurgan, County Armagh, enlisted Glasgow, residence Lurgan, aged 32, husband of Analysia Lavery of 31 North Street, Lurgan, County Armagh, no known grave, commemorated at Tyne Cot Memorial, Panel 140 to 141; Private Edward Lawley (40016) formerly West Yorkshire Regiment (33932), born and enlisted Leeds, aged 35, son of Mr and Mrs R Lawley of 12 Armenia Place, Sheepscar, Leeds, husband of Edith Nicholson (formerly Lawley) [sic] of 128 Bayswater Road, Leeds, no known grave, commemorated at Tyne Cot Memorial, Panel 140 to 141; Private William George Leinster (41266) formerly North Irish Horse (1469), born and enlisted Cavan, residence Belfast, aged 26, son of George and Elizabeth Leinster of Drummullen, Farnham, Cavan, husband of Georgina Leinster of 123A Longstone Street, Lisburn, no known grave, commemorated at Tyne Cot Memorial, Panel 140 to 141; Private William Lindsay (41084) formerly Dragoons of the Line/ Inniskilling Dragoons (UD/60), born Lisbellaw, County Fermanagh, enlisted Enniskillen, residence Letterbreen, County Fermanagh, aged 31, son of James and Margaret Lindsay of Raholland, Letterbreen, County Fermanagh, no known grave, commemorated at Tyne Cot Memorial, Panel 140 to 141; Sergeant Ernest Charles Miles (43449) formerly London Regiment (721582), enlisted Kennington, SE, Surrey, residence Feckham, SE, Surrey, no known grave, commemorated at Tyne Cot Memorial, Panel 140 to 141; Private Robert McConnell (41445) formerly North Irish Horse (1859), born Cloughfin, County Antrim, enlisted Antrim, residence Belfast, aged 23, son of Mary McConnell of 11 High Street, Greencastle, Belfast, no known grave, commemorated at Tyne Cot Memorial, Panel 140 to 141; Private Willaim McGahey (41609) formerly Dragoons of the Line (UD/292), enlisted Enniskillen, residence Blacklion, County Cavan, no known grave, commemorated at Tyne Cot Memorial, Panel 140 to 141; Private William McGrane (10752), born Stamullen, County Meath, enlisted Drogheda, County Louth, residence Julianstown, aged 27, son of Denis McGrane of Julianstown, Drogheda, County Meath, no known grave, commemorated at Tyne Cot Memorial, Panel 140 to 141; Lance Corporal Randal Edmund McManus (41505) formerly Dragoons of the Line (UD/88), born and enlisted Dungannon, County Tyrone, aged 26, son of Jane McManus of 6 Howard Terrace, Dungannon, County Tyrone, and the late Samuel McManus, no known grave, commemorated at Tyne Cot Memorial, Panel 140 to 141; Private William Nowell (45746) formerly London Regiment (722363), A Company RIF, born and enlisted, Battersea, SW, Surrey, aged 26, son of William and Martha Nowell of 54 Theatre Street, Lavendar Hill, London, husband of Charlotte Ann Nowell of 13 Kassala Road, Battersea Park, London, no known grave, commemorated at Tyne Cot Memorial, Panel 140 to 141; Private Robert Park (41353) formerly North Irish Horse (2325), born Magherafelt, County Londonderry, enlisted Antrim, residence Magherafelt, aged 29, son of John Park JP and Margaret Park of Grange, Magherafelt, County Londonderry, no known grave, commemorated at Tyne Cot Memorial, Panel 140 to 141; Private William Pilkington (45817), formerly Royal West Surrey Regiment (66613), born and enlisted Camberwell, SE, Surrey, aged 20, son of Mrs Emma Pilkington of 7 Avenue Road, Camberwell, London, no known grave, commemorated at Tyne Cot Memorial, Panel 140 to 141; Private John James Raynor (43273) formerly Notts and Derby Regiment (22385), born and enlisted Ikeston, Derbyshire, aged 33, son of the late Aaron and Catherine Raynor, no known grave, commemorated at Tyne Cot Memorial, Panel 140 to 141; Private Clifford Skee (40082) formerly West Yorkshire Regiment (11251), born South Shields, County Durham, enlisted Newcastle-on-Tyne, no known grave, commemorated at Tyne Cot Memorial, Panel 140 to 141; Private George Soper (45739) formerly London Regiment (722478 [or 5571]), born Southwark, SE, Surrey, enlisted Surrey, aged 26, son of Thomas and Elizabeth Soper of 73 Crampton Street, Newington Butts, London, husband of Elizabeth Soper of 37 Newport Street, Lambeth, London, no known grave, commemorated at Tyne Cot Memorial, Panel 140 to 141. 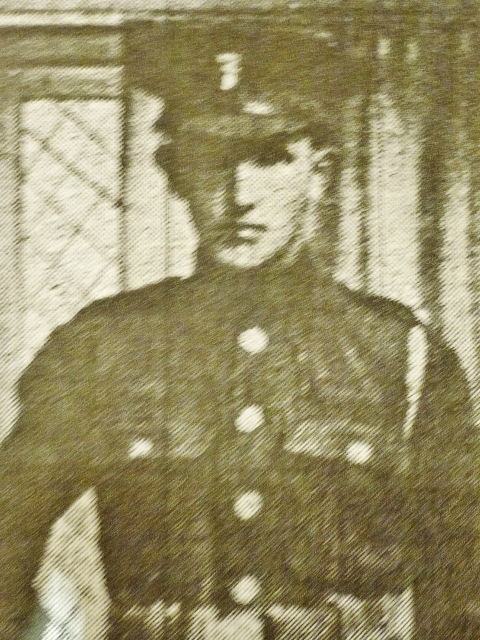 Private Robert Hamilton was in action with the 9th Battalion Royal Irish Fusiliers at the Battle of the Somme in France. 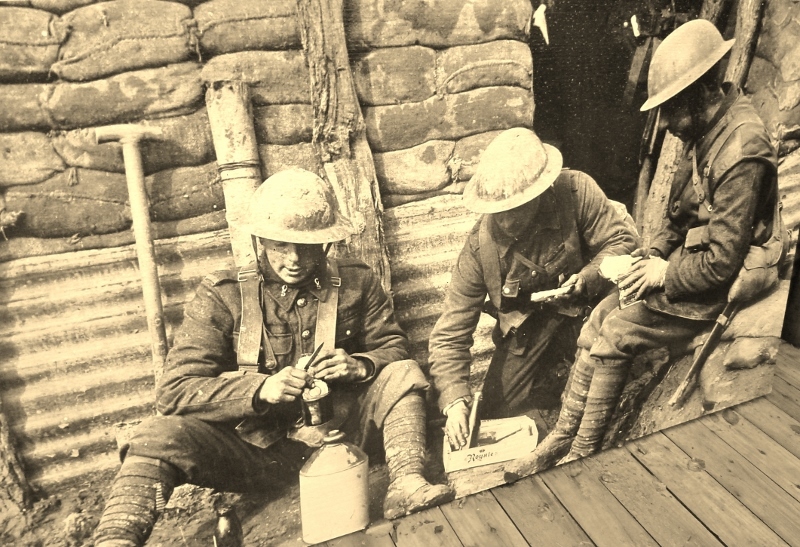 Des Blackadder from Ballymena has written a very moving account of the role played by the 12th Battalion Royal Irish Rifles who fought alongside the 9th Battalion Royal Irish Fusiliers. Hellfire Corner describes how the two units manned a line of trench which stretched between two strongpoints. These two battalions of 108 Brigade were separated from the remainder of their comrades in the Ulster Division by the marshy valley of the River Ancre – a zone deemed impossible for troops to operate in because of the nature of the ground. 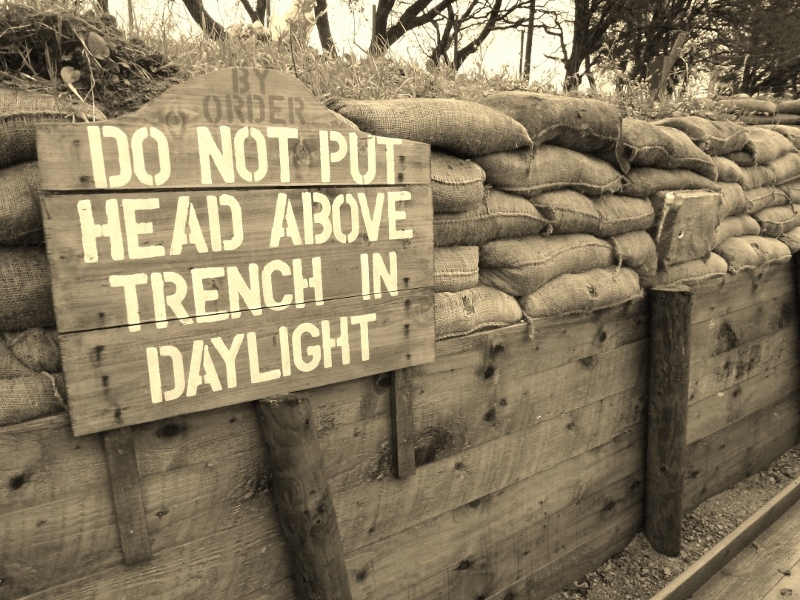 Their objective on 1st July was to clear the German trenches which protected the approaches to Beaucourt Railway Station, a main supply and communications centre of the German army in the Thiepval area. No-man’s land was about 400 yards deep, about the length of four football pitches, and about half way across was a seventy yards wide ravine with twenty feet deep, steeply sloping sides. At zero hour the 9th Royal Irish Fusiliers (Armagh, Monaghan and Cavan Volunteers) attacked ‘in fine style’. In fact, the first wave got away with few casualties but succeeding waves were advancing onto ground which was now a cross-fire zone for the elite German machine gun teams who had raced to their emplacements the moment the British bombardment had ceased. Despite their losses, the Fusiliers charged on, by this time ignoring all previous orders to advance at a walking pace, and swept over the German front line. Some men did get into the German lines – most of those who did were next to the 9th Fusiliers and a few small groups fought (alongside) the Armagh men during their harrowing struggle towards Beaucourt Station. Others attempted to clear a breach for their comrades who were hampered by the uncut wire but the fight was unequal and the battalion’s war diary makes it plain that the attack was now doomed to failure. 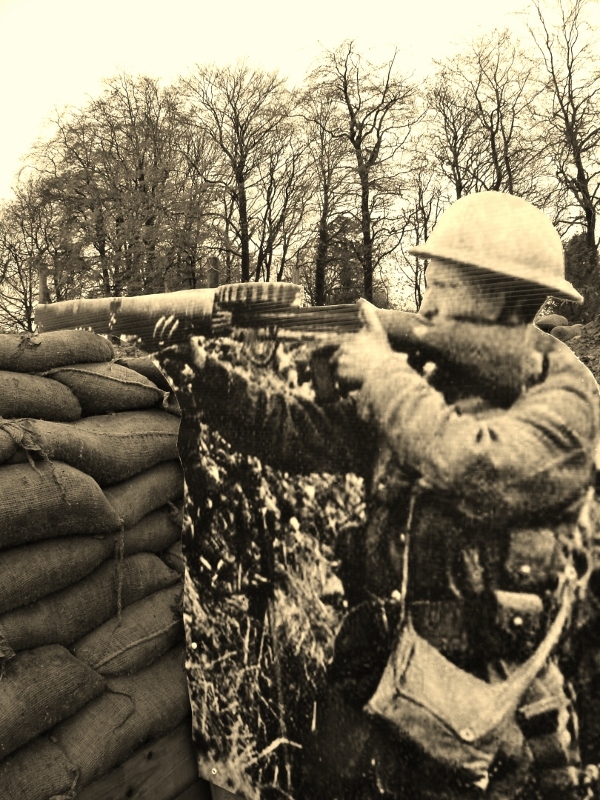 Philip Orr, in ‘The Road to the Somme’ records how those men who had breached the enemy line came back, retreating one by one, or paying the price as the enemy attack swept over them. (The attack had) been a military failure. 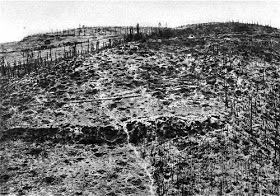 The bombardment had failed to cut the wire properly and had not destroyed the deep German dug outs. In 1916, officers could not request artillery support to deal with a particular problem. The barrage was totally inflexible and the gunners themselves inexperienced. Even the ground was against the two battalions. 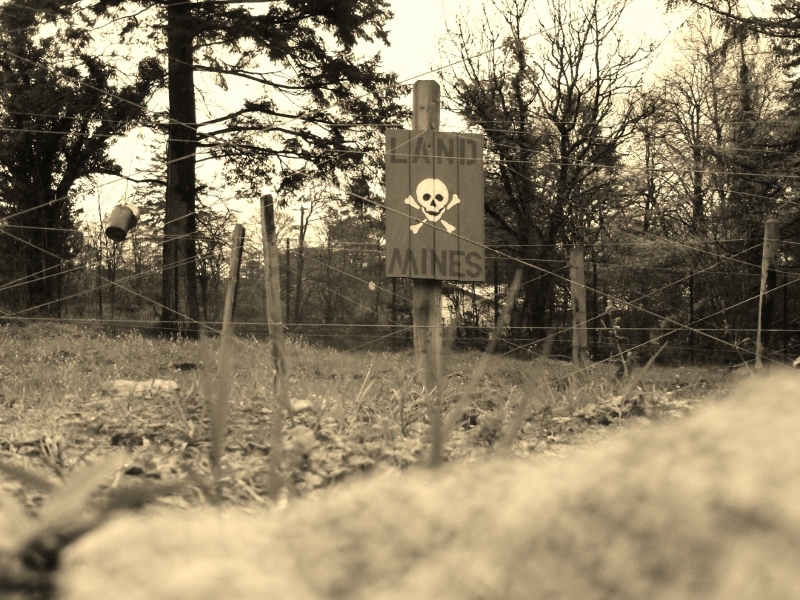 The ravine had been far too difficult to negotiate and its steep sides slowed the advance allowing the Germans to win the race to mount and fire their machine guns. The talk was made possible with the assistance of a team. The vestry of the church (especially Ronnie), Ruby Heasty, a distant relative who gave the introduction, Heather Stirrat, another Hamilton connection, and Marie McKenna, who provided the encouragement and also the technical support. I thank them all, and Jonathan Maguire of the Royal Irish Fusiliers Museum in Armagh, who provided details of Robert Hamilton’s military service. He also suggested the excellent book by Nick Metcalfe, Blacker’s Boys, in which you will find the name of Robert. 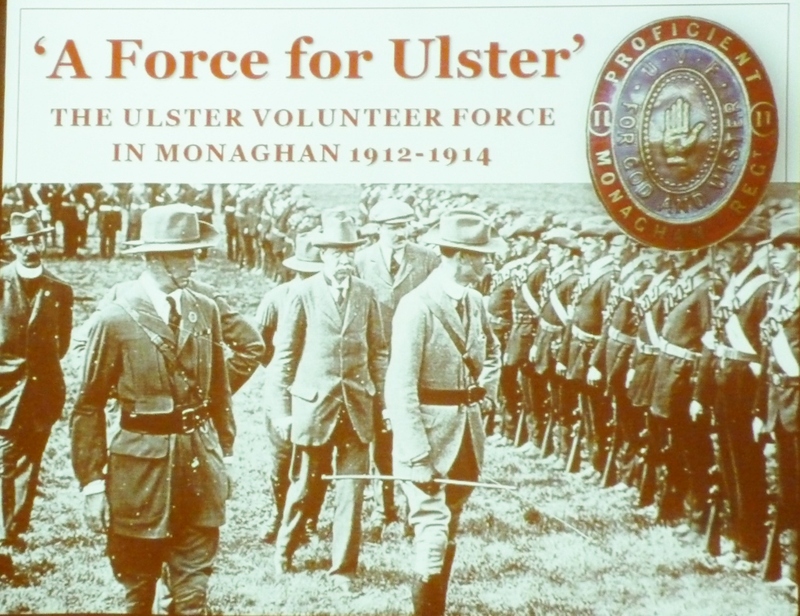 Quincey Dougan in his talk in June last year at Monaghan County Museum on the Ulster Volunteer Force gave an interesting insight into how the force was set up along military lines. The County Chairman of the UVF was the Earl of Dartrey. In August 1913 Edward Carson visited Newbliss and this caused a surge in local volunteer membership. 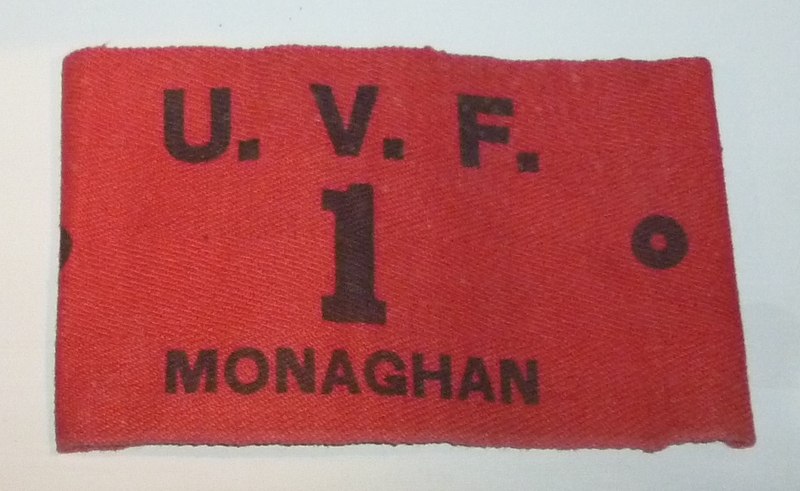 First official returns to UVF HQ at the end of that month listed a force of two battalions consisting of 1155 men. The Regimental Commander was Colonel John Leslie, seen in the above photo inspecting the ranks at the force’s headquarters at Castle Leslie in Glaslough. The 1st Battalion known colloquially as the North Monaghan Battalion, based in Monaghan Town, was commanded by Major Edward Richardson of Poplar Vale, who as we saw earlier organised the signing of the Ulster Covenant in the Ballinode area. QUINCEY DOUGAN tells us that in August 1913 the battalion comprised 747 men, but by August 1914 this had increased to 1037. Its main drill centers were Monaghan, Clontibret, Glaslough, Smithborough, Shanroe and Ballinode. The Orange Order played a particularly important role within unionism in the county, with most units appearing to be the locations of Orange Halls. Ballinode included Poplar Vale (the home of Major Richardson), Coragh, Ballinode, Rafeenan and Kilmore. Glaslough with its large Protestant population provided 10 units, with 257 men in 1913. They included Emyvale, Templetate, Silverstream, Mullapike and Glaslough itself. The 2nd Battalion, South Monaghan, was based in Clones and under the command of Lt Colonel John Clements Waterhouse Madden of Hilton Park. 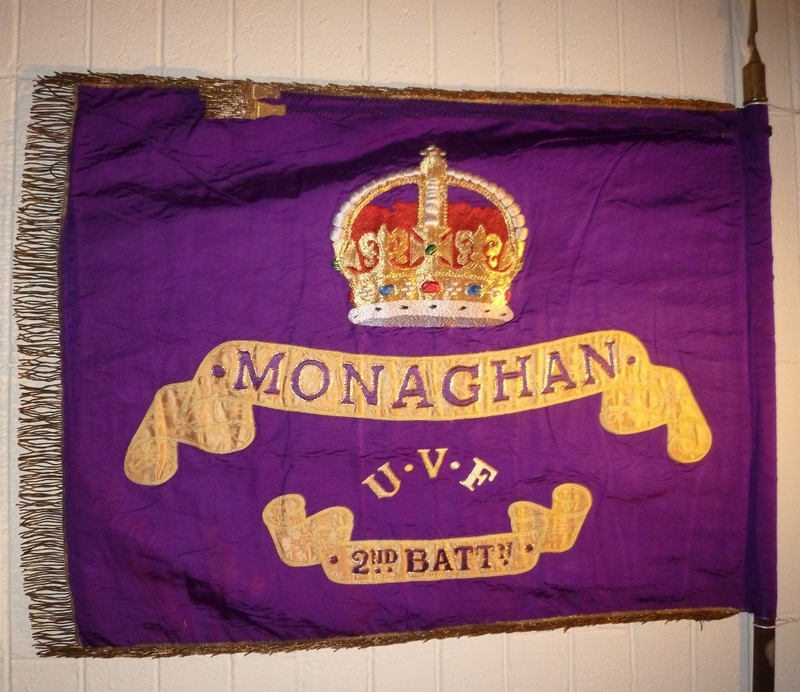 At its peak the County Monaghan Regiment of Volunteers had 2095 men, approximately 40% of those that signed the Ulster Covenant. It appears Robert Hamilton joined the UVF at some stage, possibly when he was a member of the Orange Order at Mullahara lodge, Ballinode. According to his obituary in the Northern Standard (May 1918), he was “one of those who took part in the great parade through Monaghan when the members of the Ulster Volunteer Force marched in a body to offer their services to their King and country”. As nationalists began to organise in groups such as the Irish Volunteers with the aim of achieving Home Rule, unionists in County Monaghan were in a minority position. With the outbreak of war in August 1914, the numbers enlisting in the British Army from rural Ireland were not significant. At the time there was no conscription here, only in Britain. Many Protestant farmers in Monaghan would have been reluctant to see their sons, particularly the eldest who was likely to inherit, joining the war effort. 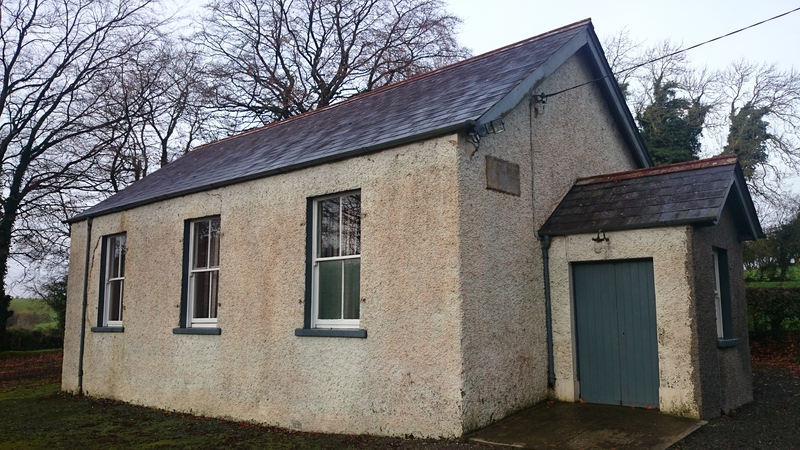 One of the places used for enlistment was the Johnston and Madden Memorial Orange Hall on the North Road in Monaghan. Quincey Dougan refers to one day when almost fifty UVF Volunteers enlisted here, but it’s not certain that this was the same day Robert Hamilton would have joined up. With his Orange Order connection, it was however likely that this was where he went to, possibly along with some of his friends, rather than to the Town Hall, which was also used by the British Army. By October 1916 only 738 men from County Monaghan had answered the call to enlist, the majority being Protestant, although Protestants only comprised around one-fifth of the population. (Dougan). For the Ulster Volunteers their 36th Ulster Division Battalion was the 9th Royal Irish Fusiliers, alongside their comrades from Counties Armagh and Cavan, with most Monaghan recruits forming the ranks of the Battalion’s ‘D’ company. 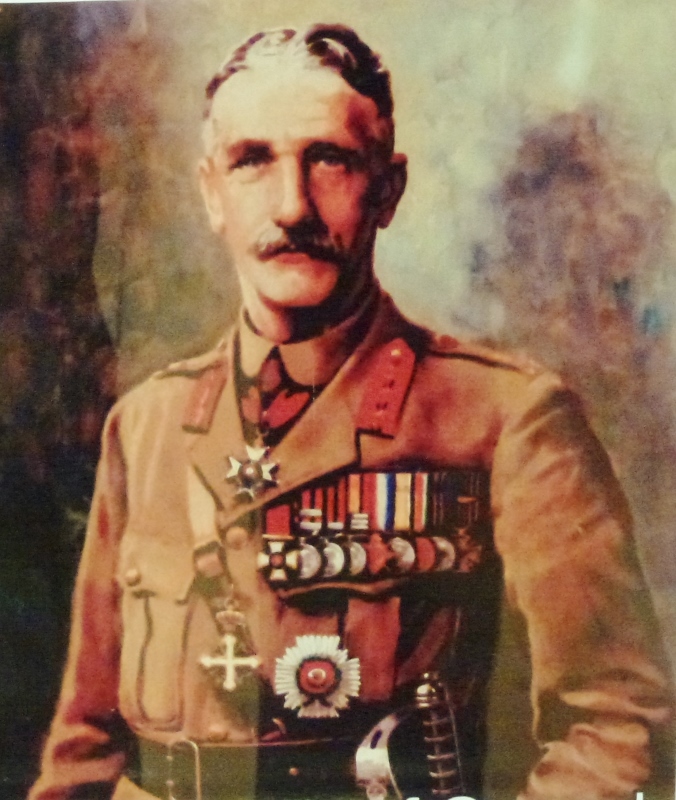 In 1915 the 36th Ulster Division got a new commander, Major General Sir Oliver Nugent. Nugent was from Farren Connell, Mount Nugent, Co. Cavan and was educated at Harrow and Sandhurst before joining the Royal Munster Fusiliers in 1882. He transferred to the King’s Royal Rifle Corps in 1883. In 1891 and 1892 he served in operations on the Northwest Frontier, including a spell as ADC to Sir William Lockhart, later C-in-C India. In 1895 he took part in the Chitral relief expedition and was awarded the Distinguished Service Order. The medal was given to him by Queen Victoria. The First World War saw Nugent serving in England until 1915 when he was given command of the 41st Infantry Brigade on the Western Front. In September 1915 a new General Officer Commanding was needed for the 36th (Ulster) Division before the division arrived in France in October 1915. Nugent fitted the bill as he had experience, ability and was Irish. 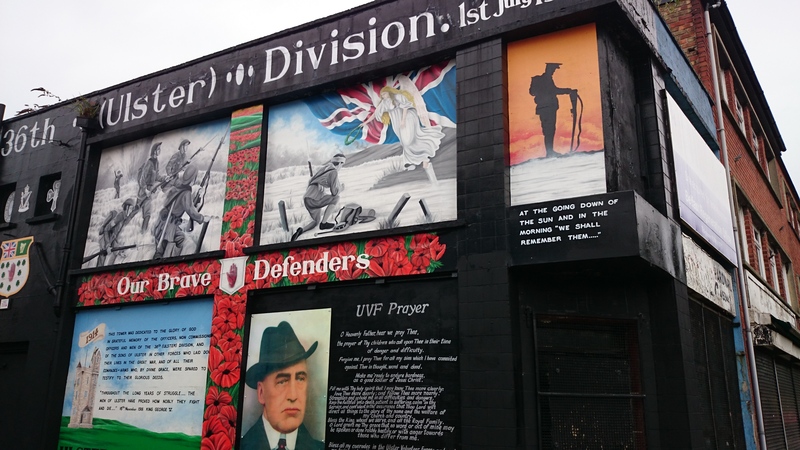 In September 1914, the Ulster Division was formed from the 80,000 volunteers who made up the Ulster Volunteer Force, a Protestant organisation created by Sir Edward Carson as an armed force to counter the threat of Home Rule. The UVF raised thirteen battalions for the three Irish regiments based in Ulster: the Royal Inniskilling Fusiliers, the Royal Irish Fusiliers and the Royal Irish Rifles which made up the 107th, 108th and 109th Brigades, as well as supporting arms. It’s not exactly clear what inspired Robert Hamilton to join. 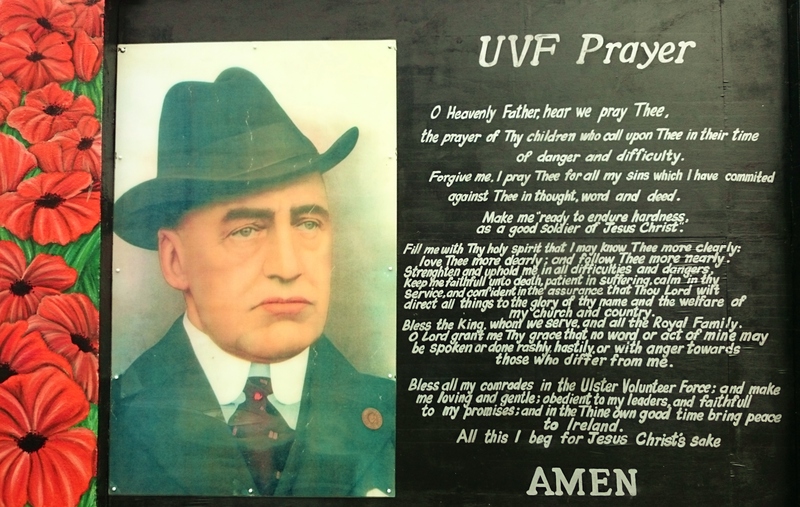 Was it to follow some of his comrades in the UVF? Or was it simply that like so many others, he needed a job? But we do know he enlised in February 1915 when a recruiting party from the 9th Battlion Royal Irish Fusiliers based in Armagh came to town. Maybe he was among the almost 50 who joined on a single day, as we heard earlier. He would probably have been sent to Victoria Barracks in Belfast for his initial training. Clandeboye estate in Co. Down had been in use for the regiment. 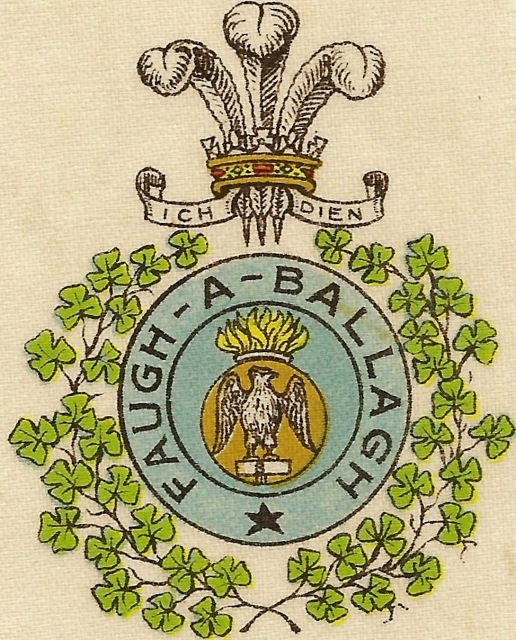 Faugh a Ballagh was the regimental motto, taken from the Irish fag an bealach, or clear the way. We know that after further training at Seaford camp at East Sussex in England, where they were inspected by Lord Kitchener, the 9th Battalion joined their divisional comrades in transferring to the western front. They sailed from Southampton to Boulogne on October 3rd 1915. 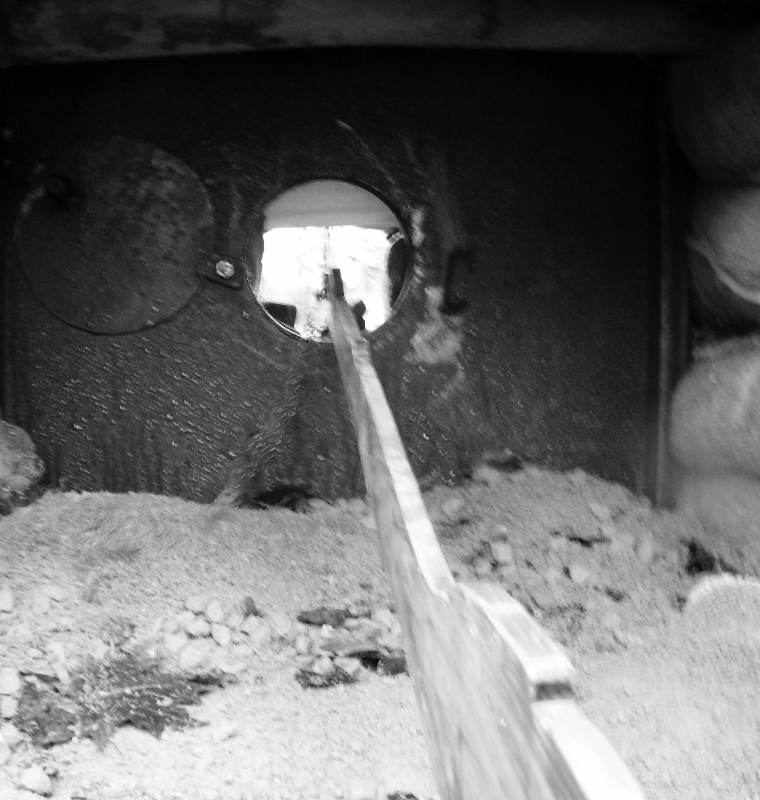 After a period of training in trench warfare, the division moved into the front lines in February 1916 at Thiepval Wood. The Division remained in the Western Front in France and Flanders throughout the rest of the war. It took part in the numerous battles of the Somme, Messines and the final advance into Flanders. It ceased to exist on 29 June 1919. The Great War cost the 36th Division 32,000 men killed, wounded or missing. This talk was made possible with the assistance of a team. The vestry of the church especially Ronnie. Ruby Heasty, a distant relative who gave the introduction, Heather Stirrat, another Hamilton connection, and Marie McKenna, who provided the encouragement and also the technical support. I thank them all, and Jonathan Maguire of the Royal Irish Fusiliers Museum in Armagh, who provided details of Robert Hamilton’s military service. He also suggested the excellent book by Nick Metcalfe, Blacker’s Boys, in which you will find the name of Robert Hamilton among the comprehensive lists of those who died from the 9th Battalion. Kevin Cullen’s Book of Honour for County Monaghan 1914-18 has also been a useful source and he also contributed some of his slides for use in the talk.